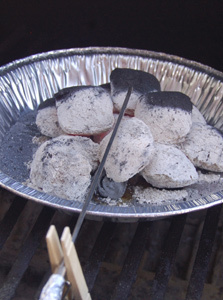 All-natural charcoal briquets have become increasingly popular over the past few years. That's especially true in the world of competition barbecue. 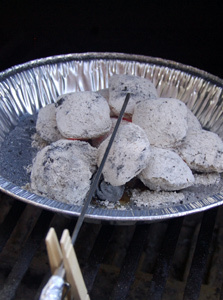 This style of briquet is popular because it's essentially lump charcoal in briquet form. You get the high heat of lump with the convenience, uniformity, and predictability of a briquet. Both the Kingsford® Competition and Stubb's® Briquets have been on the market for nearly three years now, but the Stubb's® product is new to me. 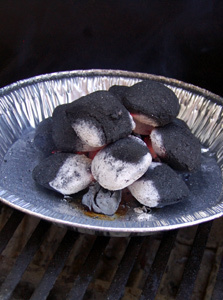 I've been seeing quite a bit of banter about it on the various barbecue forums that I frequent, so I thought that it's time that I put these products to a briq-to-briq showdown. As in my previous side-by-side charcoal reviews (the others are linked at the end of this post) I wanted this comparison to be as fair and impartial as I could make it. I don't have a laboratory, but I am an engineer, so I did the best that I could in a home setting. I ran side-by-side tests of two brand new off-the-shelf bags of each product. 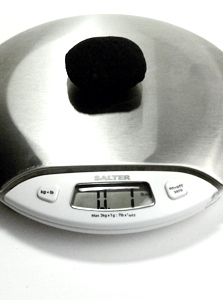 As you will see, I've weighed and photographed each product so that you can see exactly what I saw. Let's see how these products compare. 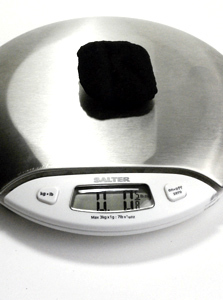 I first weighed various quantities of each product. This will help quantify the bang-for-the-bag of each. 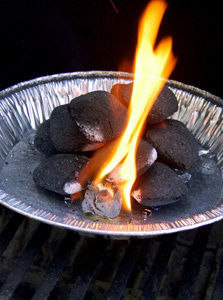 It will also let us see how much of the product is left as ash, as we'll see at the end. 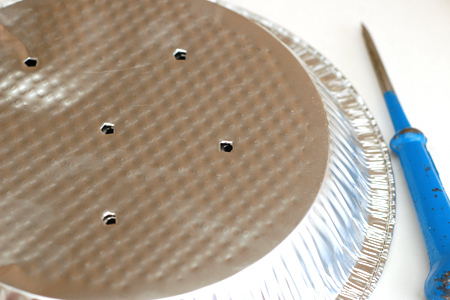 For the burn test, I punched two aluminum pie pans with an identical pattern of holes. 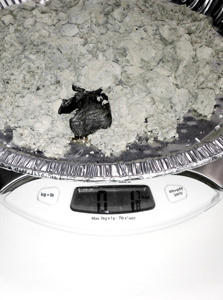 I wanted to use a method that would contain the ash for a final weight. 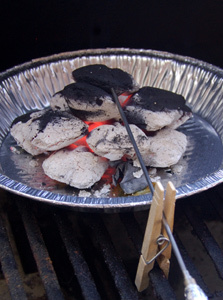 I then arranged each of the briquets in each pan as similarly as I could. I used 12 briquets in each, in layers of six, four, and two. I put a single Weber wax starter cube in each pile. I lit each cube and took pictures at various intervals. From here on the Kingsford® Competition briquets are pictured on the left, and the Stubb's® on the right. Note: If you're interested, the temperature when I started the burn was 39º and the humidity was 84%. At 30 minutes I started taking temperature measurements. 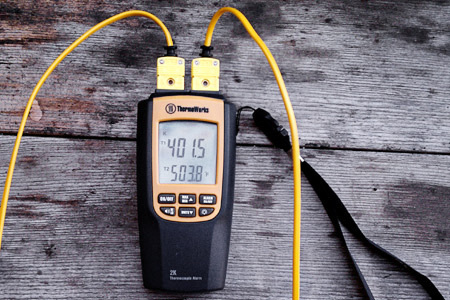 I used a TW8060 two-channel thermocouple thermometer that was provided by the great folks at ThermoWorks for the purpose of this review. 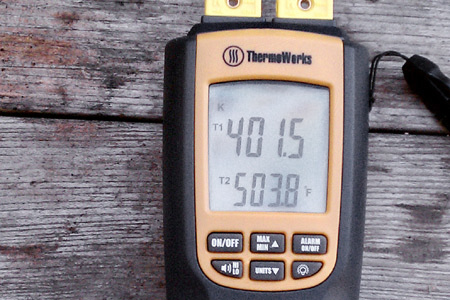 This thermometer, like their incredible Thermapen™ is dead-accurate, and with a range of -328 to 2372°F it seriously blows the doors off of the infrared thermometer that I used in my previous reviews. 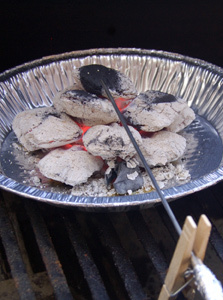 The long industrial probes allowed me to measure the temperature just above the coals where your food sits. I stopped taking pictures at 120 minutes, but I continued reading the temperatures out to 180 minutes. Here's a chart that shows the temperature readings of each product over time. The horizontal axis is time and the vertical shows the temperatures. What about ash? Well, the results were surprising. 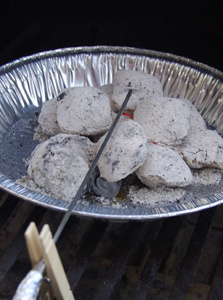 The Stubb's® briquets produced nearly 250% more ash by weight than the Kingsford® Competition briquets. 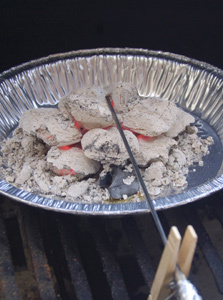 I was also surprised at the density of the Stubb's® ash. 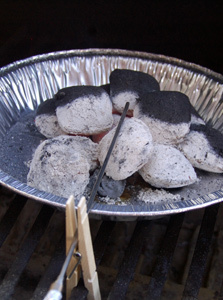 As you can see in the picture below, it held its shape fairly well, as opposed to the Kingsford® ash which collapsed. 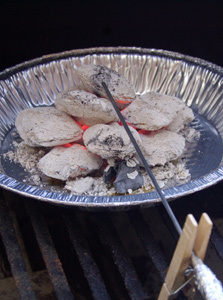 The bottom line is that, while the Stubb's® product starts stronger, it loses its firepower more quickly and produces far more ash than the Kingsford® Competition briquets. There's more product by weight in each bag of Stubb's, but there's also much more that goes to waste. I hope that you've found this review to be informative and helpful. Obligatory Disclaimer: This is not a paid endorsement. It simply reflects my honest findings and opinions. 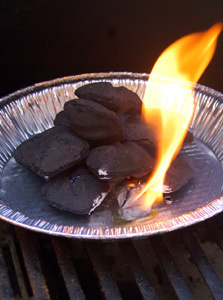 You might also be interested in my previous charcoal reviews. It's funny seeing Stubb's stuff evolve with such proliferation. C.B. Stubblefield was a friend of mine and died penniless. He would have been proud. ps- for a great Hot Wing sauce, mix 1 bottle of Stubb's BBQ sauce with one bottle Trappies hot sauce. MMMMM...great!! I like your reviews like this, John. 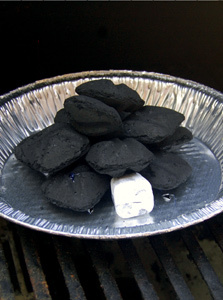 A lot of people have their subjective preferences for this coal or that. Few go to the trouble of side by side comparisons to develop objective facts like this. I like the approach you've taken towards this review. 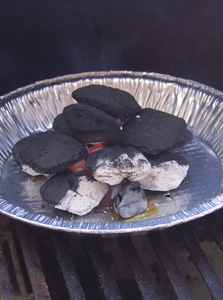 I'd say this was a good test for these two specific bags of charcoal. But having been a lab assistant in grad school I have to say here that you don't get definitive results by making a one-time comparison. You get your best results and can come to a more reliable conclusion by repeating the test and compiling the results of the multiple tests. I may just do a test of the same charcoals and model it after yours but with multiple runs from multiple bags. Thanks for blogging this and BTW you have an awesome blog! Great info. 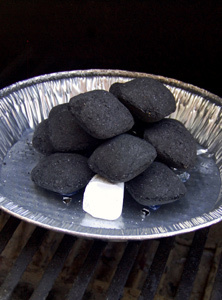 I've been using Stubb's but will have to look at the Kingsford. Anonymous - You are misinformed. 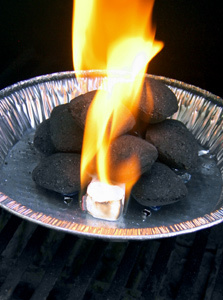 The Kingsford Competition product is a standard consumer product. It's Kingsford's 100% natural offering that competes directly with the Stubb's product, thus my review is indeed an apples-to-apples comparison. Great test! I would love to see how the standard blue bag vs royal oak. This is a great review. I switched to Stubbs abour a year ago to see how it compares to lump and loved that it was very consistant. The one thing that shows clearly in your test and I have personally noticed is the loss of heat much faster. I am on a new cooker this year (purchased a Lang Hybrid a little over a month ago), so I have been trying different fuels on the Char-Griller side. 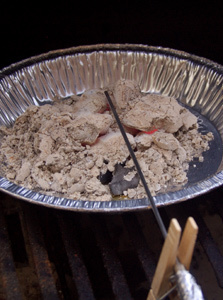 After reading this review, I am gonna have to give the Kingsford Comp a try! Thanks, Chris! I'm really glad that you found it helpful. 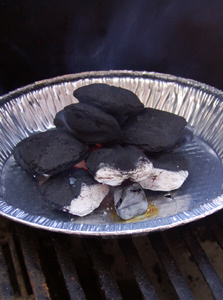 I love the Kingsford Competition product. 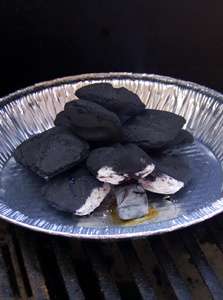 I wonder how the burn test results might change if you had used equal amounts of charcoal by weight, instead of by number of briquets. 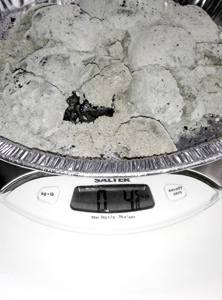 By weight, you had almost twice as much charcoal in the stubbs pile. That would account for a lot of the difference in ash at the end. 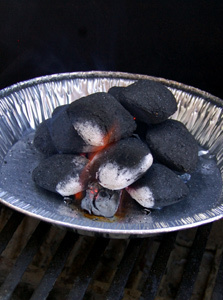 Anonymous - Consumers use charcoal by volume, not weight. 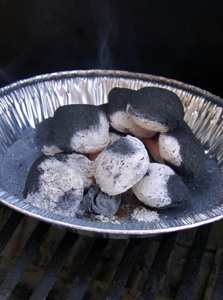 I smoke more than I grill. 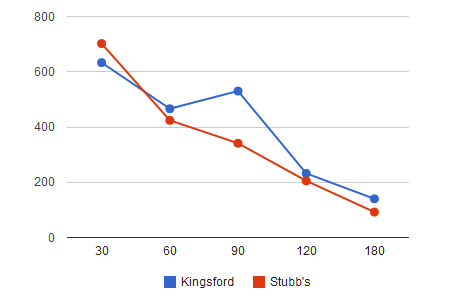 I pefer the predictability of the stubbs temp-wise when smoking. I do use the comp for grilling though. dejomatic - I don't know how you've determined that Stubb's is somehow more predictable, but to each his own. Use what works for you. Very good comparison Sir. 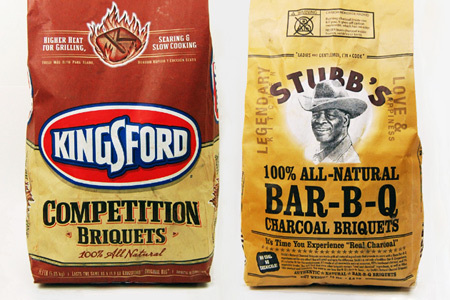 I used Kingsford for most of my adult life until I purchased a bag of Stubb's . The smell that the Stubb's produces is the best by far . The flavor of the food cooked is in my opinion better than any I have used.Stubb's may not be the best choice for smoking because of heat loss although for chicken , it's perdy darn good ! Stubbs was a good friend of mine and I at at his joint 2 or 3 times a week. Too bad he didn't live to reap the harvest of his products. 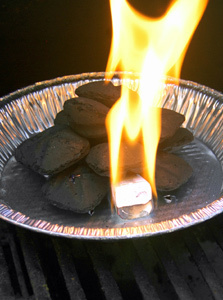 KINGSFORD IS TOXIC BECAUSE IT HAS LIMESTONE&BORAX INNIT,,DO U REALLY VWANT THAT IN YOUR BODY? ,,,,,I THINK NOT! !